Dansk Melodi Grand Prix will be on February 23rd 2019! The Danish Broadcaster, DR, have today announced that they are continuing with the successful “Dansk Melodi Grand Prix” format and will be holding their National Final on February 23rd 2019! Tickets for the Danish Melodi Grand Prix 2019 will be available for sale from Friday 26th October at 12pm on this link. 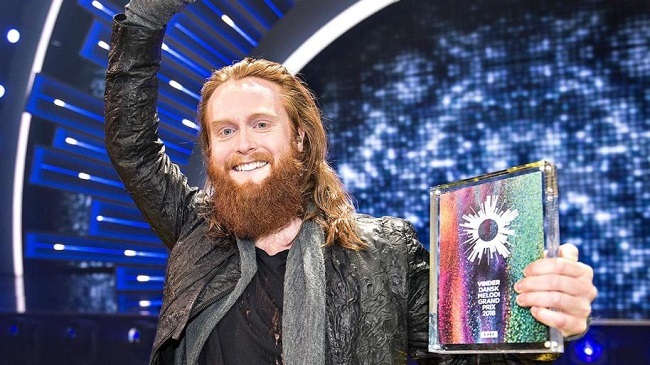 Last year’s winner, Rasmussen with “Higher Ground” went on to represent Denmark at the Eurovision Song Contest held in Lisbon in May. He qualified from the second semi final in 5th place, and went on to reach 9th place in the Grand Final with 226 points. Follow us here on ESCBubble using the social media buttons below, for all the news as we head towards the 64th Eurovision Song Contest in Tel Aviv!